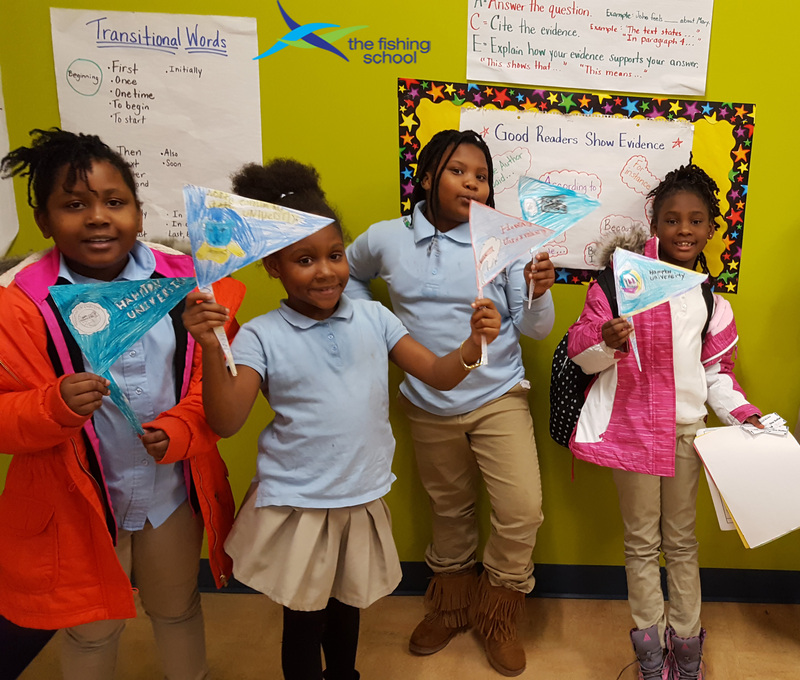 In the Elementary Afterschool Program, we use the Historically Black College and Universities (HBCUs) as a foundation to expose our elementary students to college and various aspects of the college-going process. Students learn about topics such as time management, scheduling, selecting a major, and interviewing. In our Summer Program, students take part in HBCU-themed “Spirit Weeks” in which students select an HBCU to research and represent in presentations, music, and step performances, culminating in “Homecoming Week” performances to increase student enthusiasm for college opportunities. Career and college research, field trips, and programming continue throughout the school year. TFS’ Middle School Program incorporates a wide variety of college and career curriculum components and capitalizes on a rich array of partners, field experiences, and college interactions. Students explore topics using online forums, career exploration trips, college tours, and service-oriented trips, all while developing leadership skills. In an effort to prepare them for college, students experience a snapshot of what it takes to become a college student during College Readiness activities, such as College 101. During this weekend event, students participate in variation of “college orientation,” which allows them to deepen a college-going culture. College 101 provides students with the opportunity to attend various sessions and ask staff about their own college experiences.